Use of public computer is free and available first-come, first-serve or by reservation. Free Wi-Fi is also available. Audiobooks, on CD or tape: 3 weeks. Audiobooks are limited to 5 per visit. Videos & DVDs: 7 days for all patrons. DVDs are limited to 10 per visit, 3 of which can be a series. If you cant find what you're looking for in the Sublette County Libraries, we can obtain what you need from other Wyoming libraries or libraries outside the state. This service is available to all library patrons in good standing. Effective July 1st, Sublette County Libraries will be charging the amount of return postage for Interlibrary loan requests from other libraries. Most items will cost around $3.00. Students, teachers and employees are not exempted from the ILL fee. Occasionally there are additional fees that originate from the lending library. You will be notified by phone or email in such cases. Payment of the fee is required when you pick up the item at the Front Desk. 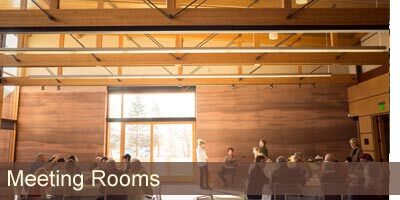 Our meeting rooms in both the Pinedale and Big Piney libraries are available by reservation on a first-come, first-serve basis and can accomodate a groups from 15 to 195 people. Call the Big Piney Library at (307) 276-3515 to inquire about their meeting rooms. 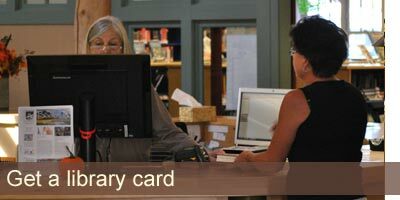 Library cards are free to county residents with proof of a local mailing address. Bring a photo ID and proof of mailing address; other options are available—please contact us for further info. By logging in with your library card number and PIN, you may view which items you have checked out, renew items, place holds, request interlibrary loans(ILLs), and update your contact information. The library's Board of Trustees alternates meetings between Pinedale and Big Piney generally on the fourth Thursday of each month in the afternoon. Forthcoming meetings are announced on the library's home page. The public is encouraged to attend. For more information, please contact the Pinedale Library at (307) 367-4114. The Sublette County Libraries rely on the help of volunteers to accomplish many tasks and contribute to the success of events. Examples of how volunteers contribute are by setting up and helping during special events, sorting books for book sales, distributing posters around town, teaching a class, etc. Contact Jenn Burton, Administrative Assistant and Technology Manager at (307) 367-4114 for more information about volunteering for the Libraries. The Sublette County Library Foundation, Inc. is dedicated to the financial support and assistance of the public libraries of Sublette County, Wyoming. It provides capital improvements, furnishings and programming for the libraries in Pinedale and Big Piney. We are extremely grateful to donors for all gifts to the Foundation. Monies raised through your generosity are used to improve public library service in Sublette County under the direction of the library’s Board of Directors. The Sublette County Library Foundation is an organization described in section 501(c)(3) of the Internal Revenue Code and all contributions are tax deductible to the full extent of the law. Contact Executive Director Sukey Hohl at (307) 367-4114 for more information about donating to the foundation.